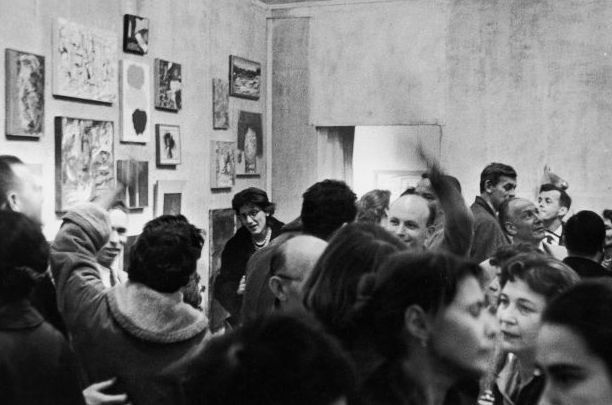 Opening at the Tanager Gallery, NY, 1959. 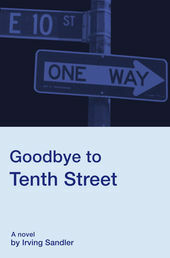 Please join Artists Space and 192 Books for an evening in celebration of Goodbye to 10th Street, the final book—and first novel—by critic, art historian, and beloved Artists Space founder Irving Sandler. Based on his experience in the New York art world, from the death of Jackson Pollock in 1956 to the emergence of Andy Warhol in 1962, Sandler creates a tight-knit community of artists, critics, curators, and gallery owners, where connections are forged and betrayed, ideologies clash, and relationships blossom and implode at dizzying speed. With the arrival of Pop Art as the newest avant-garde, Sandler reveals shifting attitudes in the art world, and in particular, the conflict between different generations of artists and the necessity of periodic upheavals to sustain art's relevance. From the 1950’s to his recent death, Irving Sandler has been a crucial figure and vanguard for post-war American painting and sculpture. As a close friend of artists and curators, a critic, an art historian, and a witness and chronicler of a blossoming downtown arts community, Sandler devoted his life to studying and supporting the artistic endeavors of his peers. His major works, The Triumph of American Painting: A History of Abstract Expressionism (1970); The New York School: The Painters and Sculptors of the Fifties (1978); American Art of the 1960s (1988); and Art of the Postmodern Era: From the Late 1960s to the Early 1990s (1996), provide an expansive and provocative history of the modern and post-modern era. With precision and care, Sandler’s lucid prose traces an exciting moment of flux in the art world, marked by ambition, emotion, and self-doubt. 192 Books is accessible via ramp from street level. Please note there is no public restroom available at 192 books. For access inquiries please contact 192 Books at info@192books.com or 212-255-4022.